Brainwavz is a young audio equipment manufacturer that’s been trying to make some real impact in the audio industry and position itself on the market for the past few years. Some of their previous models like the over-ear headphones HM5 and HM100 have been highly praised as great midrange headphones, but Brainwavz decided not to stop there. Alara planar magnetic headphones are the latest release from this ambitious headphone manufacturer and it is, by far, the most expensive and the best-sounding model ever made by Brainwavz. These are also the first planar magnetic headphones ever made by the Brainwavz. At $500 price point, Alara headphones have a few noticeable rivals on the planar magnetic headphone market, but there’s also a lot of great dynamic headphones within this price range, and the battle for their fair share of customers won’t be easy. It all comes down to what these headphones have to offer for the price. In this review, we are going to try to give you the answer to that question. 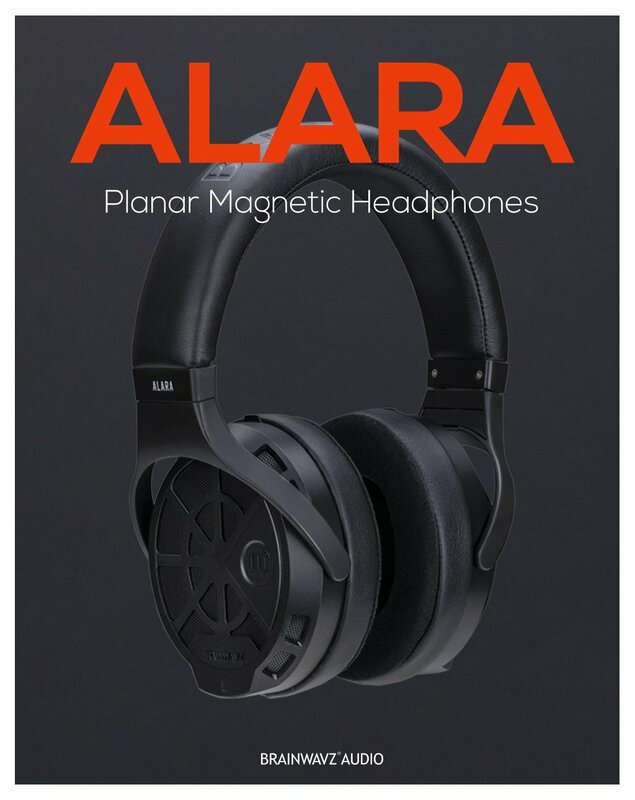 As you would expect from a pair of planar magnetic headphones, Alara headphones have a pretty neutral yet unique and very enjoyable sound signature, extended frequency response, and great responsiveness which results in very dynamic sound reproduction. 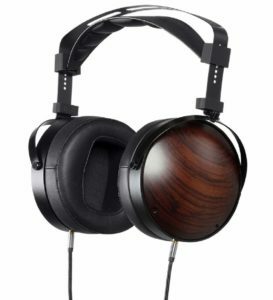 The only real difference between the Alara headphones and high-end planar magnetic headphones is the amount of detail and maybe the wideness/airiness of the soundstage. At this price point, Alara headphones deliver impressive sonic performance and they are definitely on par with the competition. Now, there are always some nuances in terms of sound coloration, warmth, etc. that make each pair of headphones unique. Some other headphones could sound better to your ears, but that’s all the matter of your personal taste. What we can say with confidence is that no audiophile will be offended by the Alara sound signature. They are simply fun to listen to. There are also a few other reasons, besides the sound, that could help you make up your mind and choose Alara headphones over some cheaper HIFIMAN, OPPO, or Monolith planar magnetic headphones. Alara headphones look simple but still attractive and elegant. Some people might find them boring because of all-black design, but that’s all up to you and your taste. They are a little heavier but, after all, all the planar magnetic headphones are kind of hefty. The Brainwavz still managed to make them pretty comfortable for long listening sessions. Furthermore, they can be driven with your phone due to small impedance (20Ω) and a relatively high sensitivity (94dB). Before we go deeper into the matter, it’s probably fair to mention some downsides. The only problem is – at this price point, there is not much to complain about. The only thing we are concerned about are the plastic yokes connecting the earcups and the headband. There have been no complaints in the past regarding these yokes but, based on our personal experience, they are usually the weakest link on many headphones. Using aluminum instead of plastic would cost just a little bit more and it might add just a little bit more weight, but it would significantly improve the durability. 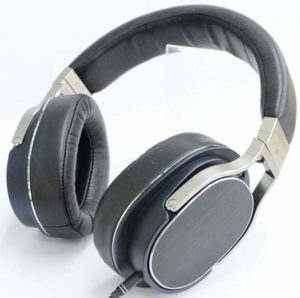 Still, compared to other cheap/affordable planar magnetic headphones, Alara headphones are solidly built. If you are looking for the best entry-level planar magnetic headphones, Alara headphones deserve to be on your shortlist. They deliver a bit warm but still very addictive sound signature with a nice balance between lows, mids, and highs, airy soundstage and very precise imaging. Their sleek design and a great amount of comfort they offer are two additional reasons to try them. Alara planar headphones come in a simple white box. It’s nothing flashy or premium like the OPPO PM-1 box or HIFIMAN HE1000 box. Inside the box, you will find a hard-shell carrying case Inside this case, you will find your headphones, one 2m-long audio cable with 3.5mm connectors, ¼-inch screw-on adapter, an additional pair of hybrid earpads, instruction manual, and a 2-year warranty. The Brainwavz adopted a minimalistic approach and made very simple all-black headphones. They are still very likable and very elegant-looking. In terms of design, they remind us of more expensive QUAD ERA-1. The earcups are made of aluminum. On the outer end of the earcups, there’s a very interesting mesh with a discrete Brainwavz logo. The headband is made of aluminum and it is entirely wrapped in padding. The padding is made of memory foam and the finish is made of pleather. On the top end of the headband, there’s an embossed Brainwavz name. These headphones look like something that could easily be the official of headphones of the New Zealand rugby team (also known as ALL BLACKS). Maybe if the Brainwavz changes the yokes and starts making all-metal headphones, they could make a deal with the best rugby team in the world. By the way, we can totally imagine ALL BLACKS performing haka while wearing all-black all-metal Alara headphones. The first and the most important feature are the planar magnetic drivers. That’s the thing that makes these headphones special and so expensive. You can easily make this kind of shell (earcups and headband) with some random (or even good) dynamic drivers for $200, but what really matters is on the inside. Alara headphones feature two 80mm planar dynamic drivers. 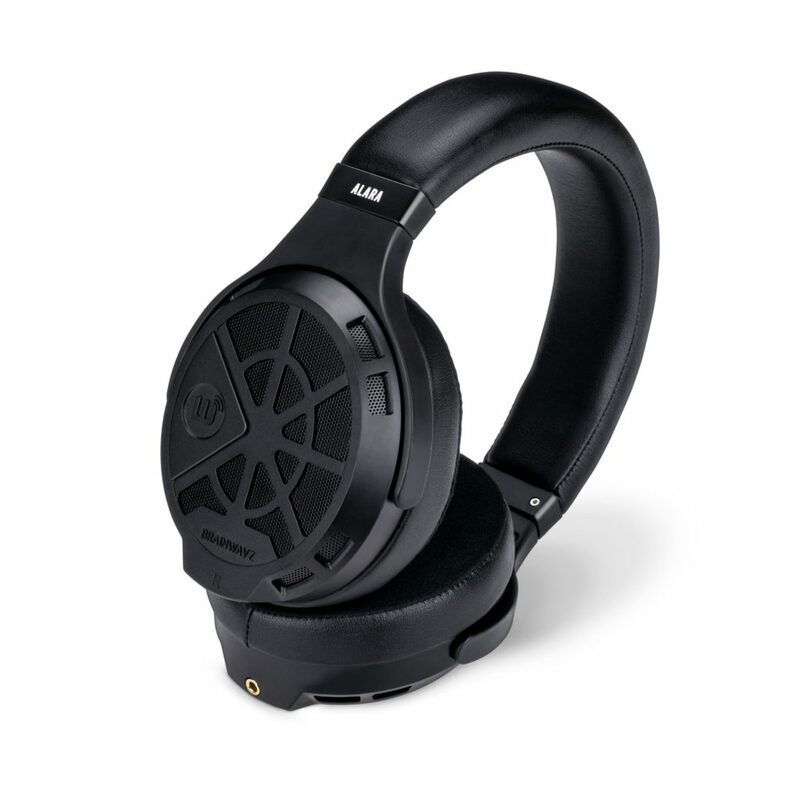 Their frequency response is pretty wide – they can go down to 10Hz and up to 40kHz. Another great thing is that they are relatively easy to drive. They have 20Ω impedance and 94dB sensitivity, which means that you can get pretty good results even without an amp or DAC. Naturally, there will be more detail and more clarity in your music if you are using an amplifier/DAC. When it comes to durability, we have no major complaints, especially when compared to other planar magnetic headphones within the price range. None of the planar magnetic headphones at this price point are perfect (in terms of build quality) and there’s always some room for improvement, but Alara headphones actually seem more durable than others. The only problem are the plastic yokes. All the other parts are made of metal and we don’t understand why they decided to use plastic yokes. The first thing we’ve noticed about these headphones (besides the design) is the weight. They felt really hefty, even heftier than the other rivals. Our first thought was – there’s no way these headphones could ever be comfortable enough for long listening sessions. And, we were proved wrong. They are actually quite comfy. The weight is perfectly distributed across the headband and there are no noticeable pressure points. Both, the headband and the earpads are nicely padded. The earpads are similar to those on HIFIMAN headphones. 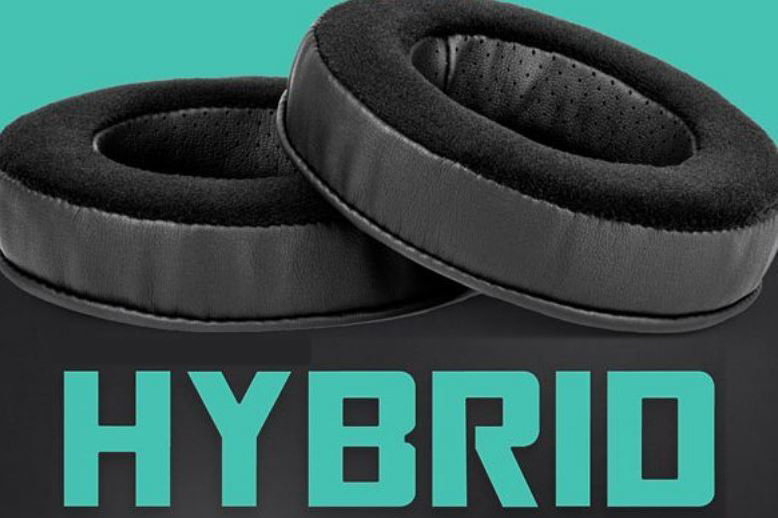 They are called hybrid because the part that goes against your face has velour finish (which is supposed to be more pleasant for the skin) while the rest of the earpads is covered with pleather. The clamping force is optimal. You won’t feel any excessive pressure. They are not made for mobile use, so you are not supposed to use them outdoors or while commuting. Also, the cable is a bit too long for outdoor use. The only negative thing we’ve noticed is the headband size. The headband is adjustable, but even when it’s not extended, the headband looks really big. It’s definitely not suitable for people with small heads. The headband extension is also very short (only 25mm) which may not be large enough for people with really big heads. The fact that you get an additional pair of hybrid earpads is definitely appreciated. We don’t want to sound ungrateful, but it would’ve been even better if that pair of earpads was made of different material (all pleather or all leather) so that you could get two different sound signatures depending on the type of earpads you are using. Unfortunately, the spare pair looks exactly the same as the pair that’s already installed. Still, we definitely appreciate the care. Most planar magnetic headphones come with only one pair of earpads. Like all the other planar magnetic headphones, Alara headphones deliver pretty neutral sound and almost flat frequency response, but with certain coloration and certain nuances that make them different from other headphones. What’s important is that none of the frequencies are too emphasized. There’s a small elevation in the mid-bass region which adds just a little bit more punch and creates a foundation for the melody. It’s nothing excessive or overwhelming. It actually makes them very pleasant to listen to, especially if you are into bass-heavy music (EDM, R&B, house, hip-hop). The sub-bass extension is pretty nice as well and it really brings the additional impact. The low midrange is nicely balanced with the bass. All the deep male vocals sound very clear and rich. The low midrange tones are followed by the slightly elevated upper mids which put forward the female vocals and instruments. Again, the elevation is not excessive and it doesn’t make the mids overwhelming. The highs are also extended and nicely balanced with the mids. There are no noticeable dips or peaks. We haven’t noticed any sibilance or any brightness in the treble region. Overall, Alara headphones have mostly neutral sound signature, with just a little bit of warmth. Since the headphones are open-back, the soundstage is airy and wide but could be a little bit wider. We would also appreciate just a little bit more separation between the instruments. Alara headphones are simply awesome for bass-heavy music, but they perform great across the wide spectrum of music genres. Like all the open-back headphones, they leak a lot of sound and they isolate very small amount of ambient noise. As we have already said, there’s a great number of competitors at this price point. Here are some interesting rivals. HIFIMAN SUNDARA headphones are a little bit cheaper than the Alara. Both of these headphones are over-ear and open-back. We prefer the looks of Alara headphones, but when it comes to design it’s all about your taste and your preferences. HIFIMAN SUNDARA are a little bit harder to drive and definitely require an amp to show their full potential. Just like Alara, HIFIMAN SUNDARA headphones have a relatively flat frequency response. Their greatest highlight is the midrange reproduction. It’s incredibly well-balanced, very rich and dynamic. All the vocals are put forward and perfectly clear. The highs are also nicely balanced and consistent. There’s a small, barely noticeable peak at 5kHz. SUNDARA headphones deliver nice and punchy bass, but we prefer that slightly elevated bass response of the Alara headphones. SUNDARA headphones deliver slightly better separation, airier soundstage, and just a little bit more detailed sound. Oppo PM-3 headphones are a bit more expensive than the Alara headphones, partially because the manufacturer (OPPO) discontinued the production of all the planar magnetic headphones (went out of business). If you like them, you should hurry up. Unlike Alara, Oppo PM-3 are closed-back headphones and they are meant for mobile use. They come with two cables, and one of them has inline controls and a built-in mic (available for iPhones and Android phones). Oppo PM-3 headphones are one of only a few planar magnetic headphones that could be used on the go. It’s not only because of the closed-back design – they are also very easy to drive (26Ω impedance, 102dB sensitivity). Both headphones are quite hefty, but the manufacturers tried to cover all the other comfort-related issues and made them very comfortable. When it comes to sound, we definitely prefer Alara, but Oppo PM-3 headphones are not bad at all. They deliver punchy and impactful bass, perfectly balanced and dynamic mids, but there’s some unnecessary brightness in the treble region. Also, Alara headphones deliver slightly wider soundstage, better separation between the instruments, and more accurate imaging. Still, you have to bear in mind that PM-3 headphones are designed for mobile use, while the Alara headphones are supposed to be used indoors, preferably when you are alone because of great sound leakage. 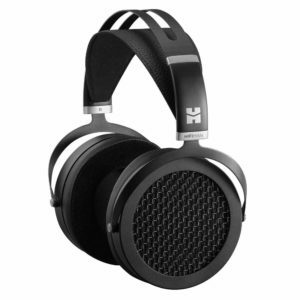 Monolith M1060C could easily be the most affordable pair of planar magnetic headphones on the market. If Alara headphones are too expensive for you, but you still want to dive into the world of planar magnetic headphones, this is a great budget option. Monolith M1060C are closed-back headphones and, just like PM-3, they are easy to drive and can be used on the go. When it comes to design, we definitely prefer the more refined look of Alara headphones. M1060C have a bit rougher look but the wooden cups are nice and add a little bit of style. M1060C headphones are lighter and a comfier for long listening sessions. In terms of sound quality, we like Alara headphones more. Like all the other planar magnetic headphones, M1060C headphones have a relatively neutral response but, compared to Alara, they have more emphasis on the bass, while the low mids are slightly muffled, and there is also some brightness in the treble region. There’s no huge bass boost or some painful ear-piercing brightness, but it’s still noticeable. 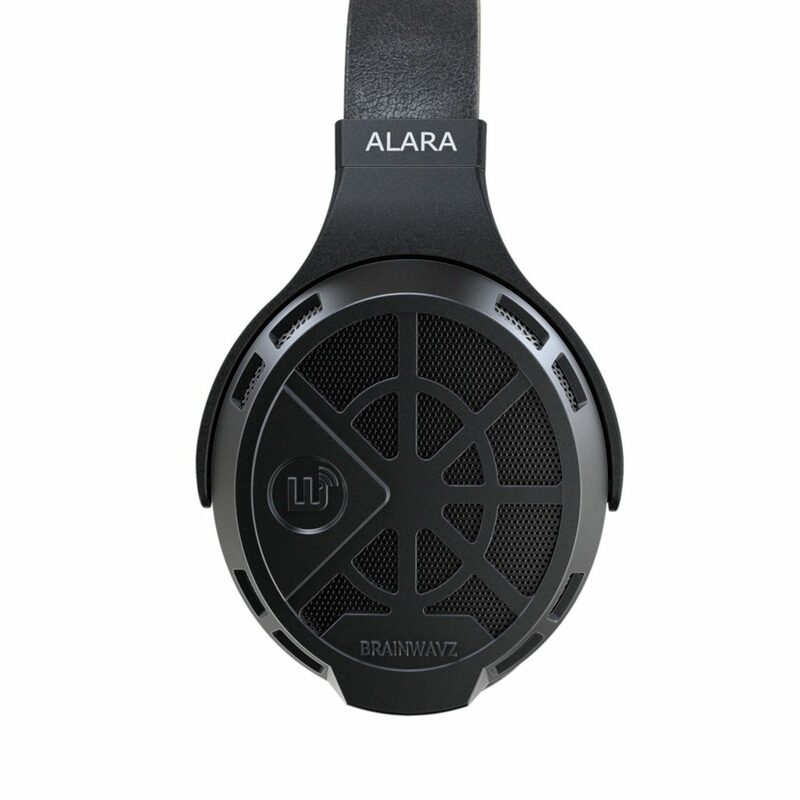 Alara headphones also have wider soundstage due to open-back design. Alara headphones from Brainwavz Audio deliver impressive sonic performance and addictive sound at an affordable price (the word affordable has a very different meaning in the world of planar magnetic headphones). We were thoroughly impressed by the sound quality – it’s colored in a way that’s very pleasant to listen to. Design, as well as comfort, are two more highlights we would like to emphasize. There are some minor flaws but most of them are pretty much expected. For example, you can’t expect planar magnetic headphones to be as light as the headphones with dynamic drivers – a little bit of extra weight is inevitable and you will have to deal with it. Also, the lack of noise isolation and sound leakage are simply caused by the open-back design. You can’t expect open-back headphones to leak less sound or to isolate noise better. The only real complaint/concern we have about these headphones is about the hinges/yokes connecting the headband and the earcups. Unlike the earcups and the headband, the yokes are made of plastic. They don’t look flimsy or anything like that, but we’ve seen these yokes being broken in the past on some other models made by other manufacturers (HE-400i, for example). We are pretty sure that you won’t break them if you handle your headphones carefully, but replacing the plastic with a lightweight aluminum would definitely be a huge improvement and it would prolong the lifespan of these headphones.